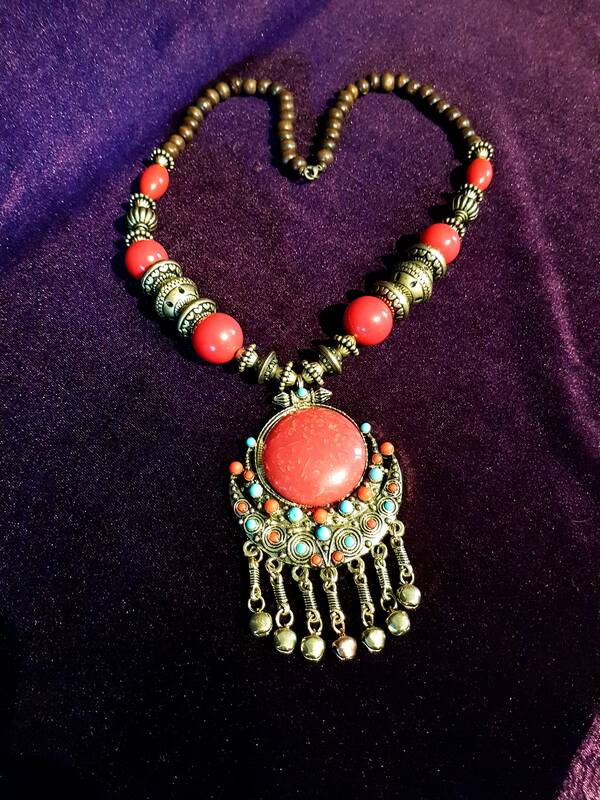 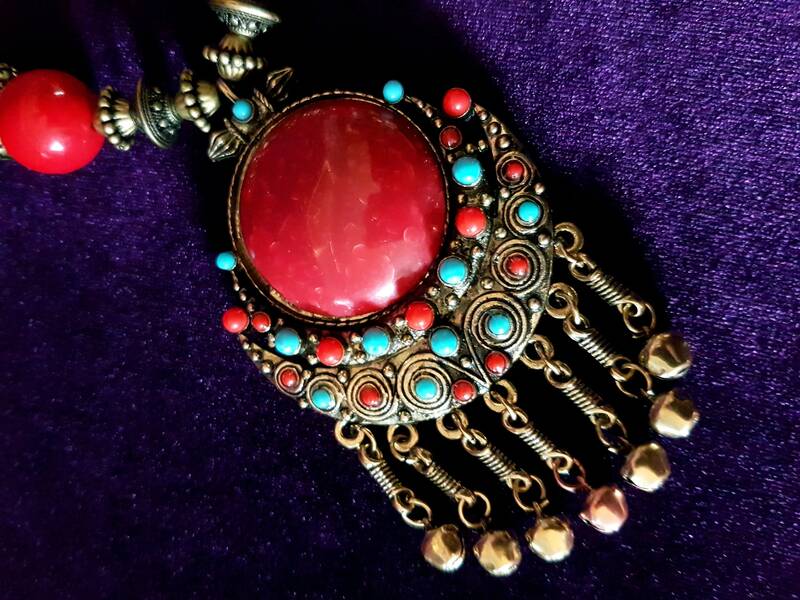 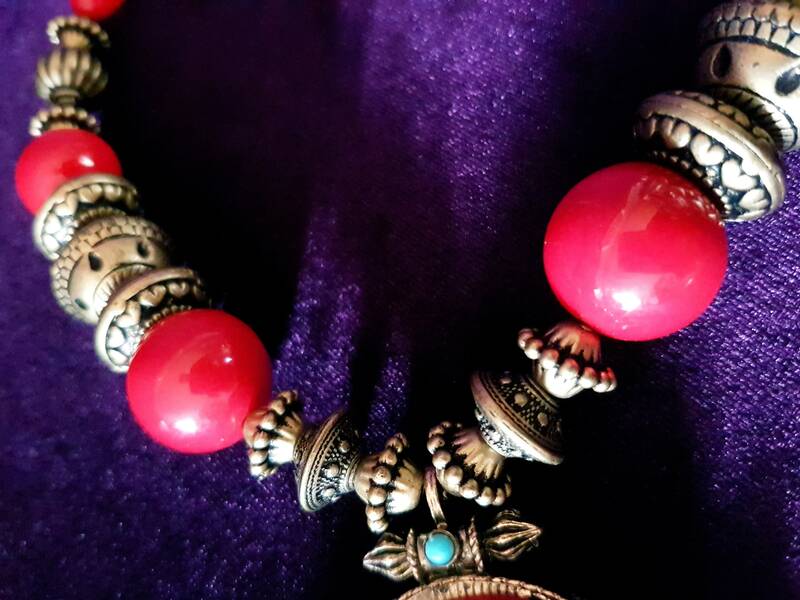 Tibetan Inspired Necklace - Traditional looking big beaded jewellery neckpiece. 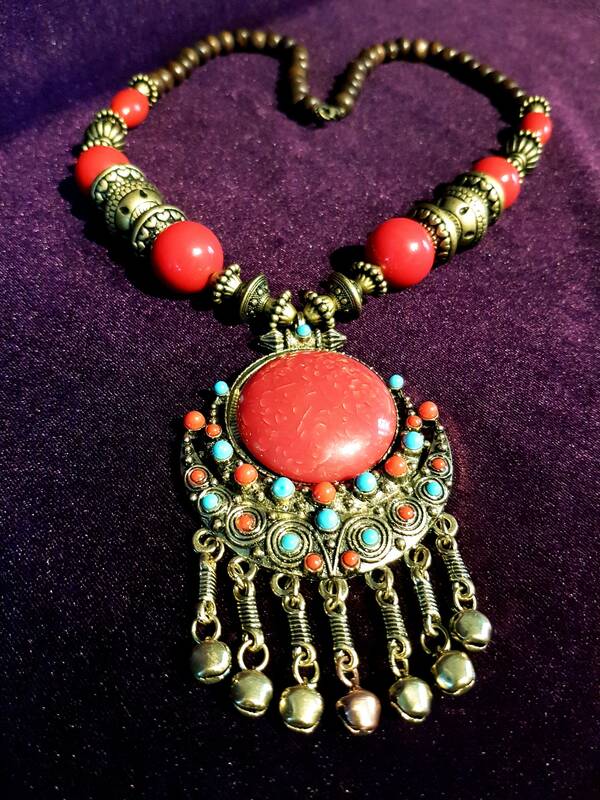 - 60cm long beaded string. 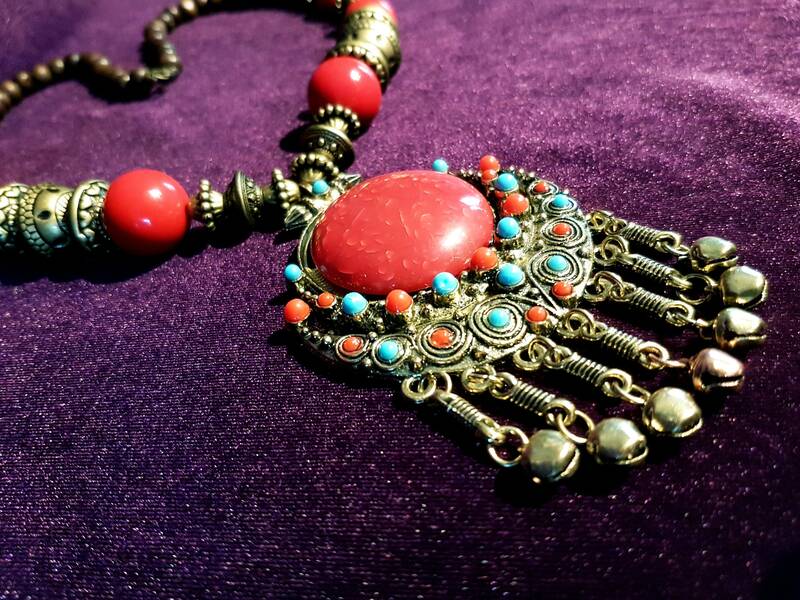 - The neck part is made with wooden beads. 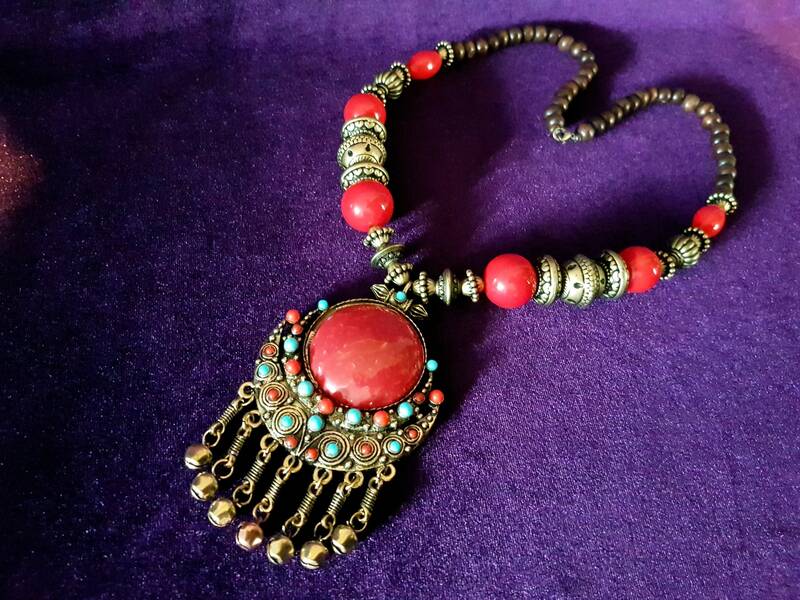 - Acryllic red bead in different oval and roand shapes. 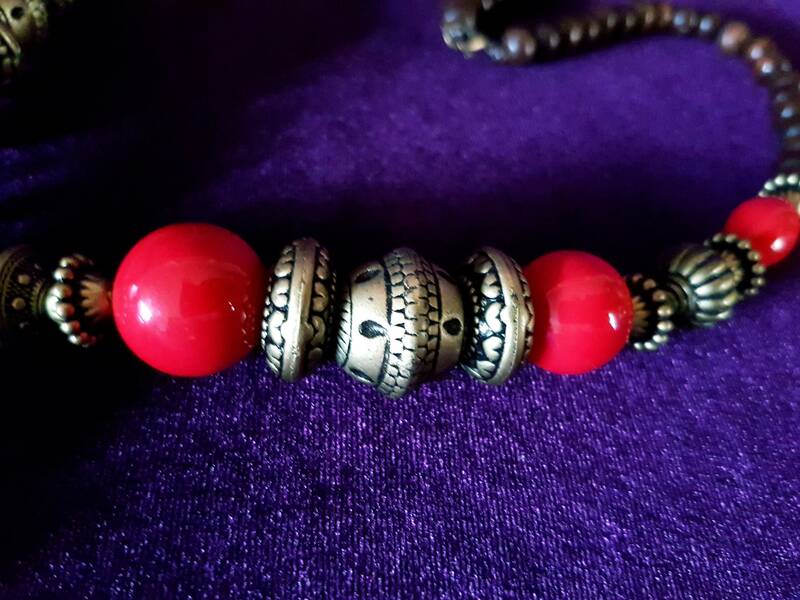 - Several gold colour traditional looking beads. 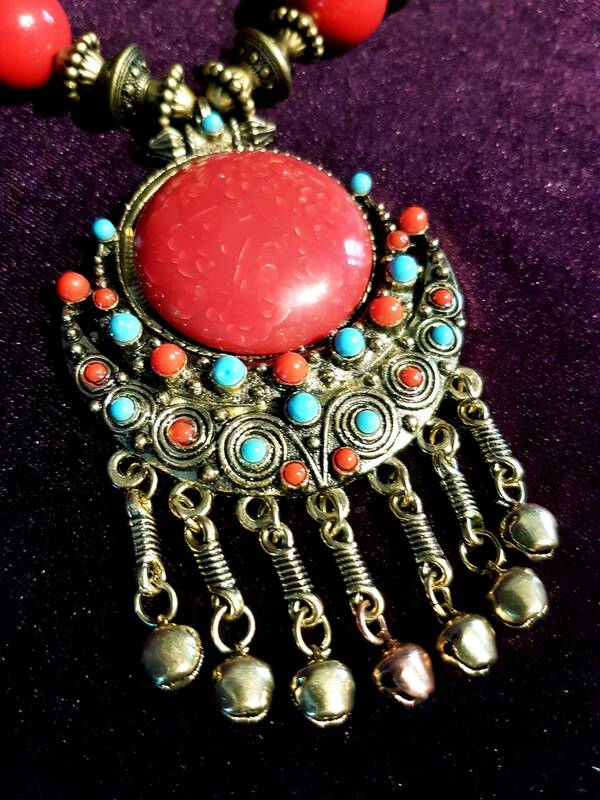 - At the end there is a turquouse / red ornament with yellow and red hanging copper bells.